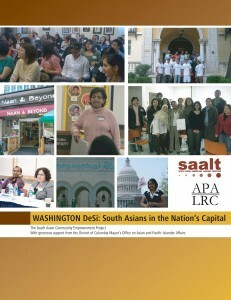 SAALT engages in both national and local level work in the Washington, DC area. Locally, SAALT holds events that promote dialogue and community education. We have held several community events, including a naturalization legal clinic, book readings by South Asian authors, and Town Hall forums. The New Americans Citizenship Project of Maryland is focused on citizenship promotion and immigrant integration work, with an emphasis on supporting eligible Legal Permanent Residents (LPRs) through the citizenship process and in receiving some of the benefits of citizenship, including better employment opportunities and higher salaries, opportunities for involvement in political economic, and social institutions, access increased education opportunities, and ability to petition for family members by becoming U.S. citizens. The project is coordinated by CASA de Maryland as part of the Maryland New Americans Partnership. 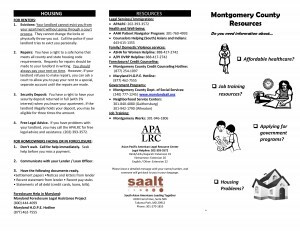 Contact info@saalt.org for more information on the NACPM. The guide is available in English, Hindi, Urdu, and Bangla. For more information, please contact info@saalt.org. The Washington D.C area is home to the 5th largest South Asian population in the country. According to the 2005 U.S. Census, there are over 107,000 South Asian immigrants in the area. In Virginia, a high concentration of South Asians reside in Arlington and Fairfax counties. In fact, census data reveal that the Bangladeshi community grew over 300% between 1990 and 2000 in Fairfax County, VA. Provides trained medical interpretation and a multi-lingual health information helpline. Contact 301.760.4993. Dedicated to providing culturally specific, multi-lingual support and referral services to women of South Asian descent. Contact coordinator@ashaforwomen.org or 888.417.2742 (helpline) or 202.207.1248 (office). Advances the legal and civil rights of Asian Americans through direct services, education, advocacy and legal service referrals. Contact hotline@apalrc.org or 202.293.3572. Aims to end domestic violence in the Asian/Pacific Islander communities. Counselors Helping Asian/Indians (CHAI), Inc. Provides education, advocacy, counseling and referral services to the South Asian community about mental health issues. Contact raziakosi@chaicounselors.org or 410.461.1634. Provides humanitarian aid to needy individuals and families living in Northern Virginia. Contact info@faithus.org or (571) 323-2198. Provides a safe and supportive environment for lesbian, gay, bisexual, transgender, questioning (LGBTQ) South Asians. 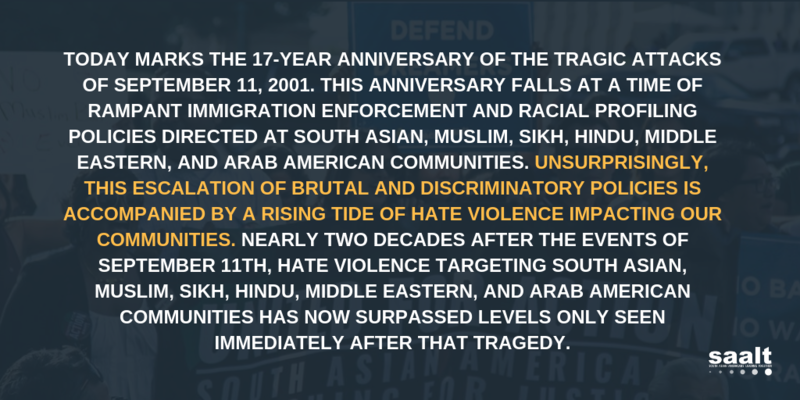 Contact president@khushdc.org or 202.518.2265. Responds to the healthcare, educational and housing needs of the homeless women in the Muslim community. Contact muslimat-alnisaa@yahoo.com or 410.466.8686. Educates and engages the Muslim community to participate in the political process of the Commonwealth of Virginia. Contact info@vmpac.org or 703.881.9111. Provides free in-house nursing and health services, transportation, vegetarian meals, and activities for South Asian seniors (65+) who live in MD. Contact 240.994.4607 or saadcmd@gmail.com. Help us add to this page! Contact us at info@saalt.org.